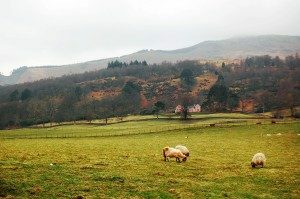 Living in rural England may be idyllic – until you want to connect with the rest of the world and then you could find there are problems. There are still many places in the UK that either have no broadband at all or a really slow service. Where many of us think nothing of watching a video or listening to music online, there are many people who have to wait for a while to send an email. The government had a plan to deliver superfast broadband to rural areas throughout the UK by 2015. That’s been put back to 2017 and it still doesn’t look as though this target will be achieved. Now there is even more of a furore as BT have been awarded most of the 44 contracts for rural areas and, in the absence of any competition (the only contender Fujitsu withdrew), it looks likely that they will get the remaining contracts by default. Living in a remote area doesn’t mean that you can’t get broadband, there is already the option of having satellite broadband. There is a set-up fee of around £150 to install the equipment, but then it’s an affordable £25 a month and operates in much the same way as an ADSL service. The challenge for BT is that they will have to actually put in the lines. The question is will they run in the normal copper wire system or invest in the more expensive fibre optic cable? Given that they will almost certainly have to install fibre at some stage, one hopes they put in the more expensive, but longer term, option from day one. Of course, they could save lots of money be liaising with the other people who dig our landscape up – the gas, electricity and water authorities – but probably won’t because rather than dig up your road once, they seem to prefer to dig it up three of four times for different reasons each time. What a shame they can’t use the power of the internet to liaise on these strategies! That’s not all, our ‘superfast’ broadband is projected to be a measly 24 Mbps – compared with most of the rest of the Europe who are planning for speeds from 50-100Mbps. For a developed country that’s supposed to be leading technology it’s not a great advertisement.